PEOPLE WHO ARE PERFECT PARENTS: 1. PEOPLE WITHOUT CHILDRE - ProudMummy.com the Web's Community for Mums. 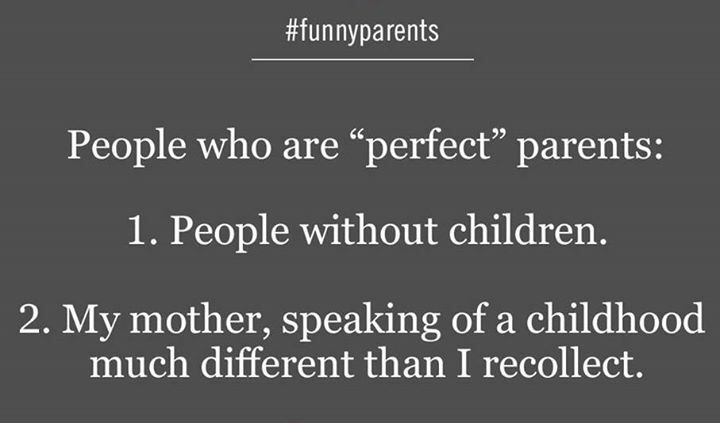 PEOPLE WHO ARE "PERFECT" PARENTS: 1. PEOPLE WITHOUT CHILDREN. 2. MY MOTHER, SPEAKING OF A CHILDHOOD MUCH DIFFERENT THAN I RECOLLECT.